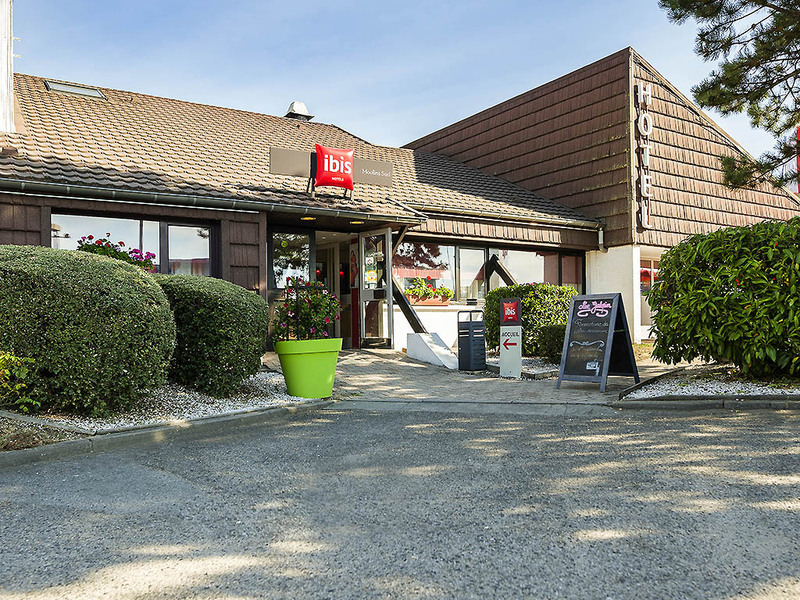 Ideally located 1.2 miles (2 km) from the historic center, near the National Center for Stage Costumes, train station and various major roads, the ibis Moulins Sud hotel provides a warm welcome in the heart of the southern business district. The hotel is 20 min from the LE PAL amusement park, 10 min from the Bourbonnais motor circuit and 30 min from the Magny-Cours circuit. The Allier quays are a stone's throw from the hotel and families and sports fans alike will love the range of activities on offer. The hotel is located one mile from the historic center of Moulins - the French city of kings. Just 15 minutes from "Le Pal" park, 30 minutes from the Nevers Magny-Cours racing circuit and five minutes from the French national center for stage costumes. This place is clearly on a cost cutting mission: Restaurant closed, tatty carpets in corridor, poor quality toilet paper, jam pots all virtually empty at breakfast. While the bed was comfortable and the bathroom was clean, the room is so small there is almost no room to walk around the bed. Expensive for what it is. Friendly and helpful staff. Basic but very comfortable room. Decent breakfast. All you need. The hotel was close to all amenities, quiet & near to restaurants. Breakfast was a little expensive but excellent.Room very good, comfortable & the air conditioning was quit, & needed, even in late September it was needed. Albeit is starting to show signs of some repairs, corridor carpets in the corridors need to be &quot;refreshed&quot; in places. Overall very good. Staff polite & available. Check in was trouble free. Although no restaurant on site McDonald's was 100m away and Burger King directly across the road. Great night's sleep as wr have come to expect from Ibis. No reason not to use again. We have stayed here many times and really enjoyed the restaurant before it was closed. The staff are friendly and the place is meticulously clean. The one thing that is a drawback is no on site restaurant. The 3 local options are flunch or Buffalo Grill and 3 wok Chinese. French cuisine it ain't! Please would Ibis consider painting the outside of the building as the staff deserve to have a nice place in which to deliver such a good service it does look run down. Hotel sympa ,tranquilite assuree ,chambre tres confortable ,personnels agreables ,petit dejeuner tres varie. staff are great, to bad the restaurant is closed, it was very nice. Although on the small side, our room was very practical and comfortable. Staff very helpful in all respects. Clean comfortable room, very helpful friendly staff . On arrival our key was waiting for us reception was friendly and helpful. Room was clean and comfortable. Breakfast had an excellent range of foods. You advertise a restaurant and then send customers to local fast food outlets on a Saturday- this is unforgiveable it should be made clear at the time of booking no restaurant at the week end. Typical Ibis style hotel with very friendly staff in a industrial zone. Breakfast was above the normal Ibis breakfast, we enjoyed it really. Due to the new and very large beds at Ibis, the room was very small. You nearly couldn't pass the room with a suitcase. The bed was very comfortable, but there was only one large blanket for two people. We like it to have each our own blanket .. my falut: I could have asked at the reception for anorher one. All in all the hotel is good for a one night trip, but I wouldn't spend more time because of the very industrial location. good over night stay. would have been nice if the restaurant had been open.staff very helpful and friendly. a good welcome from reception, easy and quick settlement.